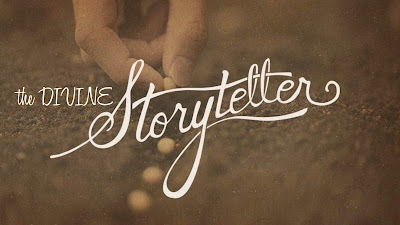 Today we're going to continue the sermon series "The Divine Storyteller." 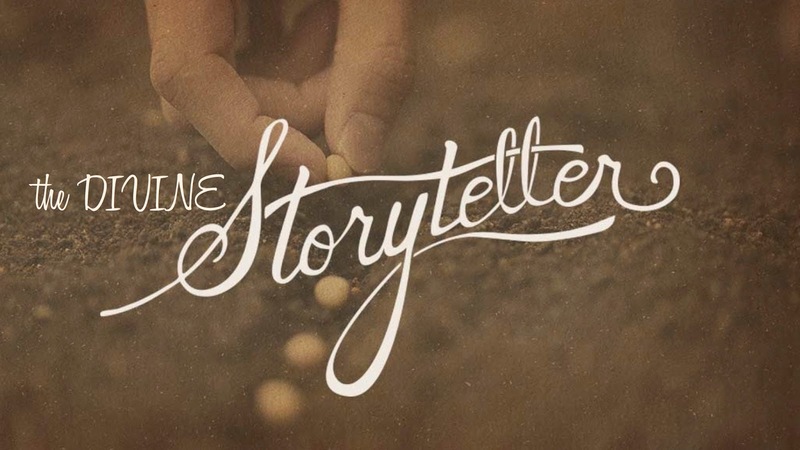 This series is focused on a rethinking of some of the more challenging parables or stories that Jesus told. I had only been at my former church for a few months when I met James. James was living in a patch of trees and brush behind our church at that point. He had been kicked out of the latest place where he'd been staying because of a domestic dispute. It was raining cats and dogs the night I met him the first time and he asked me for help. I let him stay on the screened-in porch outside the church office that night, got him some food and scrounged some extra clothes for him to change into. So began our seven year relationship, which was decidedly one-sided. James lived on the screened-in porch for a few weeks until he got on his feet. I supplied him with food and a few dollars as we tried to figure out work, a place to stay... And then I realized that James wasn't really interested in all of that. James battle with alcohol was an epic one. When he wasn't drinking, he was pretty amiable, but when he'd had a few he would say and do things that would make you want to drop kick him into next week. Strangely, he was an early riser. So, every Sunday morning he would knock on the office door because he knew I was there about to practice my sermon. He would want money. Every time. And every time I would give him food. And every time he would tell me that I wasn't a good Christian. He went to jail for eight months at one point, and I didn't miss him. Then he showed up again wearing new clothes and carrying a hard hat. He'd gotten a job and was trying to get sober. I was actually happy to see him. I helped him get his driver's license, and did everything I could to get him back on his feet. And then he showed up drunk at the same time we were having a church function and relieved himself on the bushes in front of some sweet old church ladies. And one not-so-sweet old church lady, who blew a gasket. This kind of behavior went on for years, until he crossed an even worse line and did something I am not all that proud of. We trespassed him. I have thought about it a lot since then and I know we were justified in what we did... but it didn't feel right. I think I could have done more. I sometimes wonder how things may have turned out if I had done more. I wonder if we'd really gotten down and dirty into James' life with him maybe we could have helped him turn things around. Instead we held him at arms length. George Buttrick once wrote "True charity is more than flinging a coin to a beggar." He said that what Christians need to practice is "Fundamental neighborliness." It's not easy to practice fundamental neighborliness... I can attest to this. Most of us can. The poor and the poor in spirit are all around us. We are surrounded by the broken, the needy, the lonely and the lost even here in SW Austin. But far too often we struggle with practicing fundamental neighborliness, the kind that takes us out of our comfort zones and into messy relationships with others. We like the idea of being a blessing to people, sharing our faith, giving to the needy, lifting up the broken----as long as it doesn't disrupt our lives, or take up too much of our time, or diminish our bank account. But as Jesus taught through this parable that we are going to be looking at today--True religion isn't about acquiring more stuff. True religion isn't about our preferences or comforts. In fact, true religion--to coin a phrase--comforts the afflicted and afflicts the comfortable. I want us to remember this one big thing today--something that I think Jesus came back to again and again, and what is lifted up in this particular story: In the kingdom of God, true religion demands eternal actions. First things first... What can we say about Lazarus from what we just read? The text simply tells us that he was poor. His name is a bit telling--Lazarus. It means "God helps," and very well could have been used by Jesus intentionally to recall the name of his friend Lazarus whom he raised from the dead. What can we say about the rich man? He has no name, although medieval scholars used the Latin word Dives, which means "rich man." As soon as Jesus said the words "There was a rich man..." the first century audience who was listening to him would have had an adverse reaction. In their context, any time there was a rich man in a story--he was probably about to do something villainous. And this guy doesn't disappoint. He wears purple, which was the most expensive kind of textile. He wears fine linen, which would have only been worn in the Jewish context by priests performing their duties on the Sabbath. In other words, this cat wore his Sabbath best all the time--as every day clothes. He also lived in luxury every day--he's living a hedonistic life of conspicuous consumption. Think Kardashians... Or Vander Pump. The poor man actually is lying outside the gate of the rich man's house. Right on his doorstep. The only sympathy and care the guy can get is from the dogs who come and lick his open wounds. All he longs for his a crumb, a crust... none of which would have sustained him. Jesus is using very Jewish beliefs about the afterlife here to illustrate his story. The important thing here--so don't get lost in the weeds--is that this is a story, and what Jesus is wanting to make clear is that whether you are rich or poor--you will die one day. This turn in the story where the rich man gets agony in the afterlife and Lazarus is in comfort would have been expected by Jesus' hearers. They expected the rich man to get his in the end. It's is in keeping with the Pharisaical belief of a time of refining in the afterlife in order to be prepared for eternity. But here's something interesting. The rich man can't stop acting like he's rich. He can't stop ordering people around. He still sees Lazarus as a beggar fit only to serve him. Notice that he doesn't ask to go back and warn his brothers himself. He wants Lazarus to go and do it. He can't stop wanting to be served. And if that's not enough--all he's worried about is his own brothers, not the millions of people who might need to be corrected and warned. Don't you just love Jesus' parting shot here? And it still works today, doesn't it? As we read this right now these words land on us pretty hard because someone who was raised from the dead is telling us this story once again. Jesus taught his followers that they shouldn't put all of their time, talent, resources, energy into acquiring things that you can't take with you after you die. Your stuff, your status, your money, your awesome accomplishments in this life matter little when you leave this world and step into the next. Instead, Jesus taught his followers to live now like the kingdom of God was already fully realized. To put all their energy into what matters to God---doing whatever it takes to bring the kingdom to earth as it is in heaven. This story he told teaches us that there are some actions that have eternal implications. In the 19th century Archbishop Richard Trench wrote, "The sin of Dives (the rich man) in its root is unbelief." All the other sins he commits in life are merely the forms that his unbelief takes. He puts his belief in the world and finds out that it, and everything he was in the passing-away world no longer matter. Here's a question that ought to land on us pretty hard. Do we truly show we believe what we say we believe by the way we care for the poor at our gates? Because here's the truth about this parable... And it's not what the common Christian culture might lead us to believe about it. Just like the parable of the sower, this isn't really a story about the hereafter--it's a story about the here and now. If we put our faith in the things of this world that pass away---we are lost. If we cannot see the poor, the broken and the lonely at our gate... we are lost. True religion in the kingdom of God isn't about worship preferences, or denominational politics. True religion is about living our lives in such a way that we demonstrate God's kingdom as a reality and not just a good idea. Years ago, a seminary colleague of mine attended a conference on homelessness at big, stately church in the Northeast. The weekend he was at the conference, the weather turned especially nasty and cold. A man froze to death lying on the steps of the church while he and the rest of the participants at the conference sat warmly inside debating how to best tackle homelessness. Jesus speaks to us through the centuries today---telling us that we need to put our faith, our beliefs into practice and take care of the poor---or we will know worse hunger and poverty. We can't live the Christian life with the world at arms length. It's time we started living like eternity is happening now---because it is. In the kingdom of God true religion demands eternal action.